A salpingostomy is a surgical incision into a fallopian tube. This procedure may be done to repair a damaged tube or to remove an ectopic pregnancy (one that occurs outside of the uterus). The fallopian tubes are the structures that carry a mature egg from the ovaries to the uterus. These tubes, which are about 4 in (10 cm) long and 0.2 in (0.5 cm) in diameter, are found on the upper outer sides of the uterus, and open into the uterus through small channels. It is within the fallopian tubes that fertilization, the joining of an egg and a sperm, takes place. During a normal pregnancy, the fertilized egg passes from the fallopian tubes into the uterus and then implants into the lining of the uterus. If the fertilized egg implants anywhere outside of the uterus, it is called an ectopic (or tubal) pregnancy. The majority of ectopic pregnancies occur in the fallopian tubes (95%); they may also occur in the uterine muscle (1–2%), the abdomen (1–2%), the ovaries (less than 1%), and the cervix (less than 1%). As an ectopic pregnancy progresses, the fallopian tubes are unable to contain the growing embryo and may rupture. A ruptured ectopic pregnancy is considered a medical emergency as it can cause significant hemorrhaging (excessive bleeding). If an ectopic pregnancy is diagnosed early (i.e., before rupture has occurred), it may be possible to manage medically; the drug methotrexate targets rapidly dividing fetal cells, preventing the fetus from developing further. If medical management is not possible or has failed, surgical intervention may be necessary. A salpingostomy may then be performed to remove the pregnancy. Salpingostomy may also be performed in an effort to restore fertility to a woman whose fallopian tubes have been damaged, such as by adhesions (bands of scar tissue that may form after surgery or trauma). In the case of hydrosalpinx, a condition in which a tube becomes blocked and filled with fluid, a salpingostomy may be performed to create a new tubal ostium (opening). Ectopic pregnancy occurs in approximately 2% of all pregnancies. Once a woman has an ectopic pregnancy, she has an increased chance (10–25%) of having another. Women between the ages of 25 and 34 have a higher incidence of ectopic pregnancy, although the mortality rate among women over the age of 35 is 2.5–5.9 times higher. Minority women are also at an increased risk of ectopic pregnancy-related death. Salpingostomy may be performed via laparotomy or laparoscopy, under general or regional anesthesia. A laparotomy is an incision made in the abdominal wall through which the fallopian tubes are visualized. If the tube has already ruptured as a result of an ectopic pregnancy, a salpingectomy will be performed to remove the damaged fallopian tube. If rupture has not occurred, a drug called vasopressin is injected into the fallopian tube to minimize the amount of bleeding. An incision (called a linear salpingostomy) is made through the wall of the tube in the area of the ectopic pregnancy. The products of conception are then flushed out of the tube with an instrument called a suction-irrigator. Any bleeding sites are treated by suturing or by applying pressure with forceps. The incision is not sutured but instead left to heal on its own (called closure by secondary intent). The abdominal wall is then closed. A neosalpingostomy is similar to a linear salpingostomy but is performed to treat a tubal blockage (e.g., hydrosalpinx). An incision is made to create a new opening in the fallopian tube; the tissue is folded over and stitched into place. The new hole, or ostium, replaces the normal opening of the fallopian tube through which the egg released by an ovary each menstrual cycle is collected. Salpingostomy may also be performed laparoscopically. With this surgery, a tube (called a laparoscope) containing a tiny lens and light source is inserted through a small incision in the navel. A camera can be attached that allows the surgeon to see the abdominal cavity on a video monitor. The salpingostomy is then performed with instruments inserted through trocars, small incisions of 0.2–0.8 in (0.5–2 cm) made through the abdominal wall. A tubal or ectopic pregnancy can be removed in several ways. If the fallopian tube is ruptured (A), the tube is tied off on both sides, and the embryo removed. If the tube is intact, the embryo can be pulled out the end of the tube (C), or tube can be cut open and the contents removed (D). An advantage of laparoscopic salpingostomy is that the operation is less invasive, thus recovery time is quicker and less painful as compared to a laparotomy; the average duration of recovery following laparoscopy is 2.4 weeks, compared to 4.6 weeks for laparotomy. An abdominal incision, on the other hand, allows the surgeon a better view of and easier access to the pelvic organs. Several studies have indicated a reduced rate of normal pregnancy after salpingostomy by laparoscopy versus laparotomy. It has been estimated that 40–50% of ectopic pregnancies are incorrectly diagnosed when first presenting to emergency room medical personnel. Often the symptoms of ectopic pregnancy are confused with other conditions such as miscarriage or pelvic inflammatory disease. Diagnosis is usually based on presentation of symptoms, a positive pregnancy test, and detection of a pregnancy outside of the uterus by means of ultrasonography (using a machine that transmits high frequency sound waves to visualize structures in the body). Diagnosis of hydrosalpinx or other defects of the fallopian tubes may be done surgically, using a laparoscope to visualize the fallopian tubes. Alternatively, a hysterosalpingogram may be performed, in which the uterus is filled with a dye and an x ray is taken to see if the dye flows through the fallopian tubes. If performed through an abdominal incision, a salpingostomy requires three to six weeks for full recovery. If salpingostomy is performed laparoscopically, the recovery time can be much shorter (an average of 2.4 weeks). There may be some discomfort around the incision for the first few days after surgery, but most women are walking by the third day. Within a month or so, patients can gradually resume normal activities such as driving, exercising, and working. Complications associated with the surgical procedure include reaction to anesthesia, excessive bleeding, injury to other organs, and infection. With an ectopic pregnancy, there is a chance that not all of the products of conception will be removed and that the persistent tissue will continue growing. If this is the case, further treatment will be necessary. In the case of ectopic pregnancy, the products of conception will be removed without significantly impairing fertility. If salpingostomy is being performed to restore fertility, the procedure will increase a woman's chance of conceiving without resorting to artificial reproductive techniques. Abdominal pain occurs in 97% of women with an ectopic pregnancy, vaginal bleeding in 79%, abdominal tenderness in 91%, and infertility in 15%. Persistent ectopic pregnancy after surgical treatment occurs in 5–10% of cases. Ectopic pregnancy accounts for 10–15% of all maternal death; the mortality rate for ectopic pregnancy is approximately one in 2,500 cases. Some ectopic pregnancies may be managed expectantly (allowing the pregnancy to progress to see if it will resolve on its own). This may occur in up to 25% of ectopic pregnancies. There is, of course, a chance that the fallopian tube will rupture during the period of observation. Treatment with methotrexate is gaining popularity and has been shown to have success rates similar to laparoscopic salpingostomy if multiple doses are given and the patient is in stable condition. Salpingectomy is another surgical option and is indicated if a tube has ruptured or is seriously damaged. 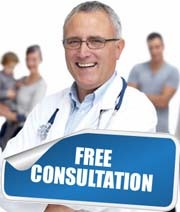 If you are really seeking for the Laparoscopic salpingostomy surgery in India, kindly fill up the form for a free consultation by our surgeons. You will be provided with thorough analysis and suggestions regarding Laparoscopic salpingostomy surgery in India you are seeking for.